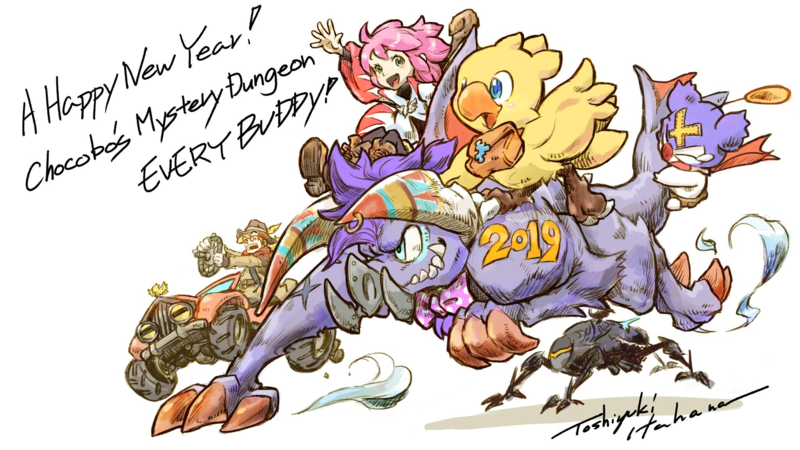 It is now 2019 everywhere and long-time Final Fantasy artists Toshitaka Matsuda and Toshiyuki Itahana have kicked off the new year with some cool new art. Mobius Final Fantasy art director Toshitaka Matsuda has created a wallpaper you can use on your smartphone, tablet or PC. 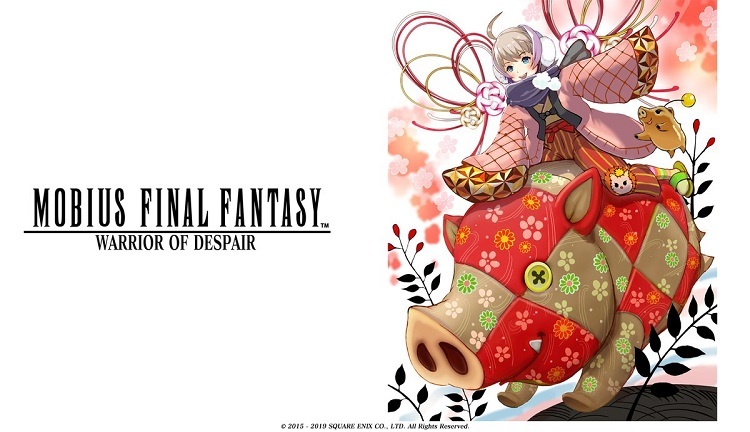 It features Echo riding a boar. You can find it in various resolutions here. While Chocobo's Mystery Dungeon Every Buddy! 's character designer Toshiyuki Itahana has done an illustration of some of the characters from the game.